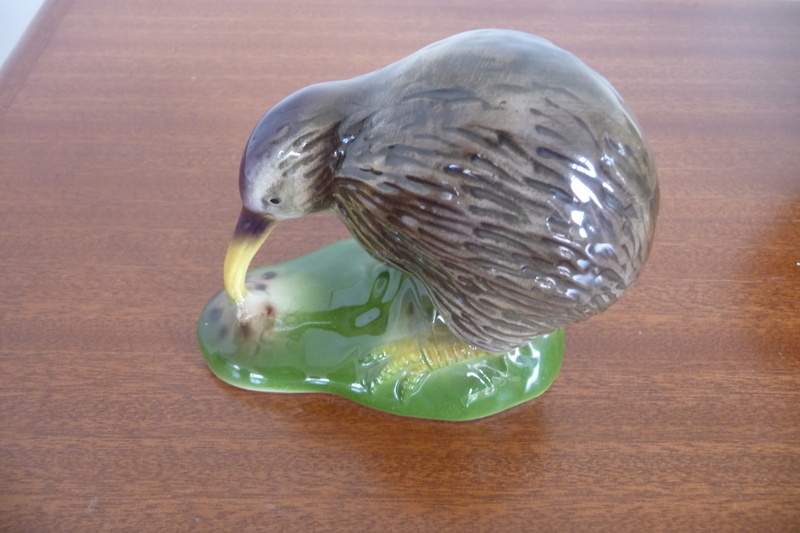 Today I went to an Antiques Fair with one thing in mind and that was to find a Crown Lynn Kiwi. How exciting to see what looked like a Crown Lynn Kiwi and I pounced on it and bought it right away, never mind that they didn't have a tape measure and neither did I. 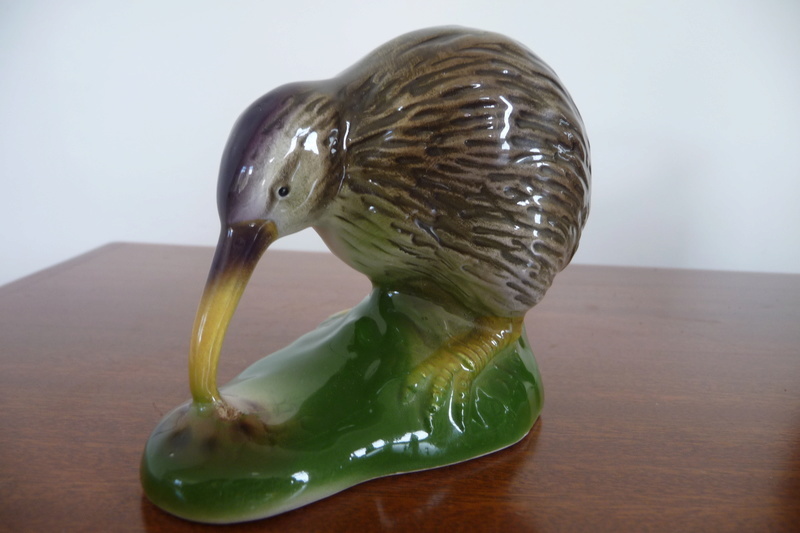 Stall holders jaw dropped when I told him that it looked like the Crown Lynn Kiwi ....... No marks on the base on this one so I was very hopeful. 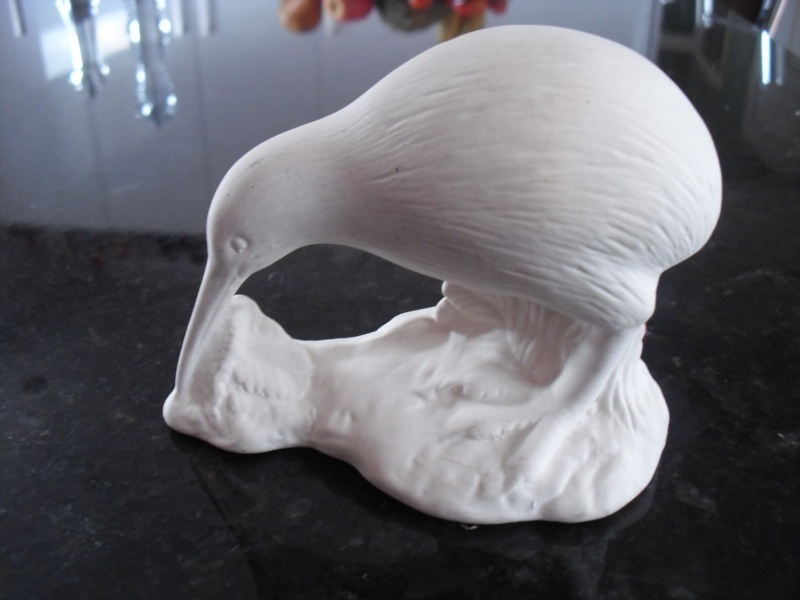 This is the other side ... his beak looks so weird from this view! Ev, I know that feeling! But never mind as you said it will help you to find the real deal. There are these really small tape measure bands that come with Christmas crackers which would be ideal to fit in a hand bag. Or just cut a normal size one to about 40 or 50cm to make it smaller. Just an idea. I have found the measurements for the Crown Lynn Kiwi - 76mm x 100 long. Re Shanx's kiwi. 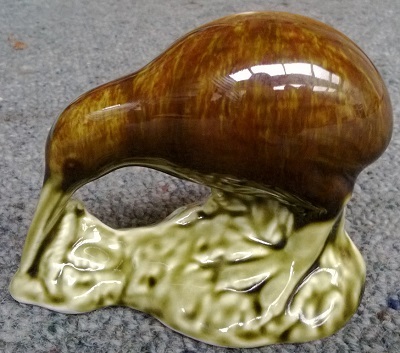 I have this unglazed kiwi which is exactly the same as the olive green kiwi photographed by TonyK on Sun, Feb 5th. The beak is slimmer and doesn't go right to the front edge like the others, and directly below the eye is a fern frond on the base which the others don't have. Does someone know who made which please? 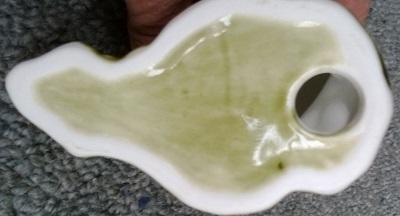 The base is about 100mm long by 58mm at the widest. 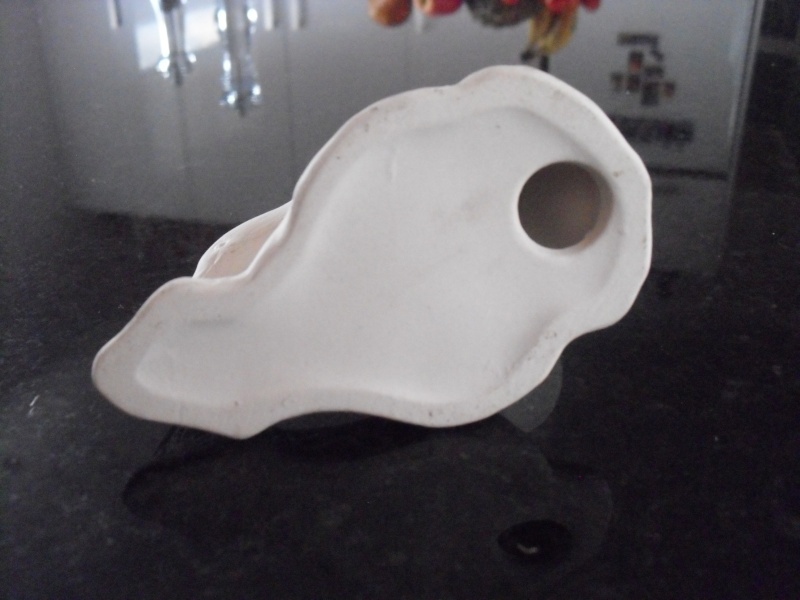 80mm high, which is Studio Ceramics?? 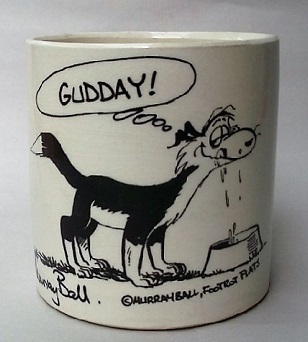 I just had look on Google to find out if it could be a Hobby Ceramics greenware or bisque. So far I haven't found your white Kiwi shape. 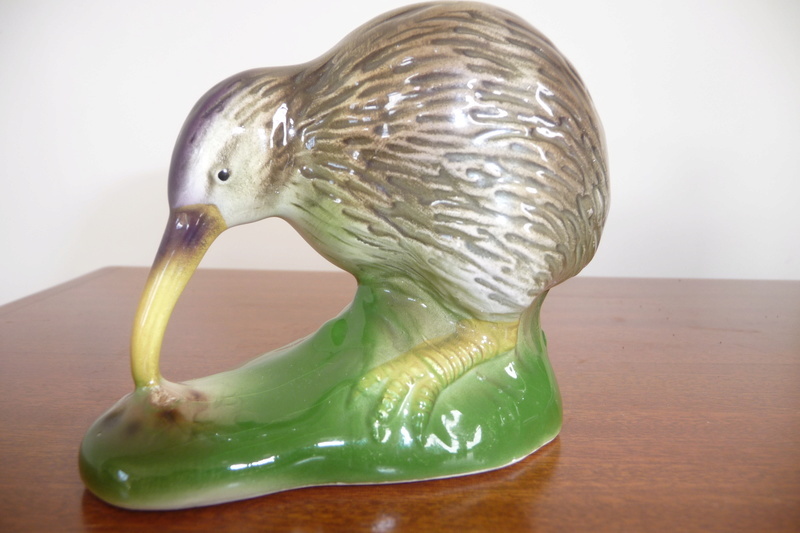 But I found a Sylvac Kiwi that looks like the C/L Kiwi with vase. 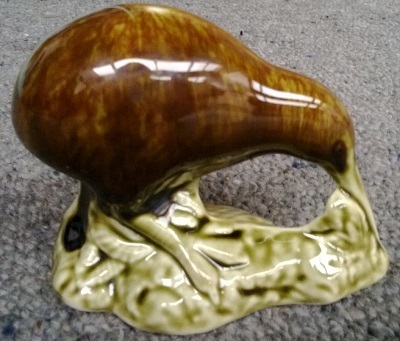 There is a listing at the moment for a kiwi http://www.trademe.co.nz/a.aspx?id=1120945762 auction 1120945762 ut the measurements are wrong aren't they? Yes the measurements don't add up and the form is different too. I checked it out yesterday as I got excited thinking it may be the ONE. I give up .... is this the Crown Lynn 2151 Small Kiwi? This Kiwi looks closer to the sketch that is in the gallery. Not numbered and measures 76mm H by 98mm long. Could it be the missing Kiwi?